Home / _Movies / Andy-Serkis / Angela-Bassett / Black-Panther / Black-Panther-Movie / Chadwick-Boseman / Danai-Gurira / Letitia-Wright / Lupita-Nyongo / Movies / Movies-in-theaters / News / "Black Panther" Now Has a Perfect Score on Rotten Tomatoes! "Black Panther" Now Has a Perfect Score on Rotten Tomatoes! Find out whether Marvel has a hit or a bust on its hands. The review embargo has lifted and the Black Panther movie reviews are flooding in. As always we look to the review aggregator website Rotten Tomatoes to give an update. Thankfully, unlike with Justice League, they didn't decide to hide the score until Friday. After 48 critic reviews, the site gives it a perfect score of 100%! 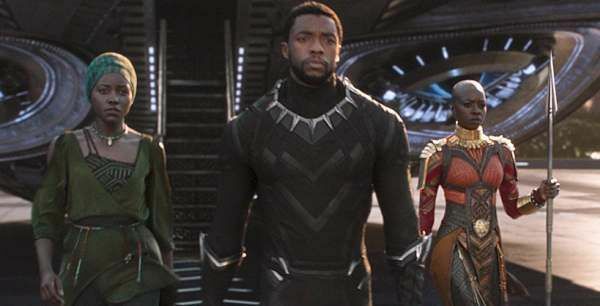 The critic consensus is "Black Panther elevates superhero cinema to thrilling new heights while telling one of the MCU's most absorbing stories -- and introducing some of its most fully realized characters." So far the movie is being hailed as a breakthrough in the Marvel Cinematic Universe (MCU). Of the Marvel Studios movies, the closest they've gotten is for Iron Man 2 with 94%. While a Rotten Tomato score doesn't guarantee a hit combining it with the ticket presales records it's looking good! What do you think of the Rotten Tomatoes score?